Answering questions from subscribers: how to think about assists as a stat, and how teams approach the tradeoff of playing vets vs. young players. Imagine a 76ers possession: Ben Simmons collects an assist on a pass to a closely guarded Embiid who hits a tough midrange jumper. Next time down, Simmons posts up and zips a skip right into Redick’s shooting pocket, who misses an uncontested corner 3. 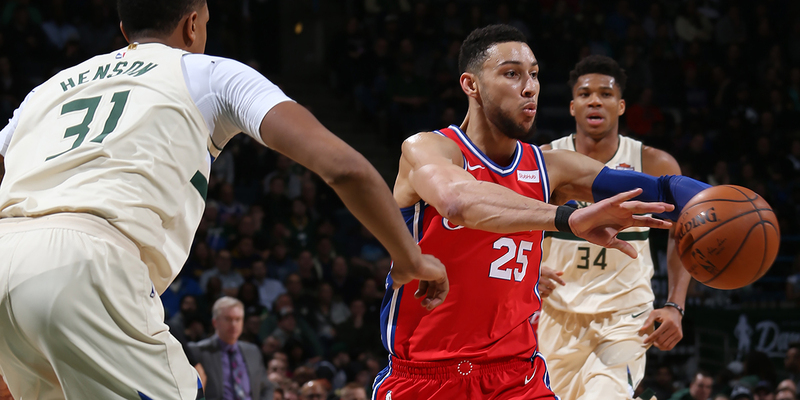 Simmons’ first pass boosts his assist/turnover ratio and assist %–almost entirely due to Embiid’s individual play–and the assist tallied in the box score supposedly quantifies Simmons’ playmaking ability on that possession. Yet, the skip to Redick (the more valuable pass) doesn’t make the box score, nor does it impact Simmons assist/turnover ratio or assist %. Teams obviously understand that assists can be a misleading stat and aren’t the most useful way to evaluate playmakers or passes that lead to shots. The quality of a pass should not be entirely reliant upon the execution of the shooter. The pass should be judged by the opportunity created and the probability of outcome and yield should weigh more than the isolated make/miss. My question is: How do teams filter out that noise to identify and quantify players’ abilities to create opportunities with optimal probabilities of efficient scoring? I can think of several ways to do so, but am curious what stat categories the brighter minds in the league have created and track to quantify playmaking. Curtis has hit on a subject close to my heart. Years ago I wrote in a notebook of future ideas to work on: “kill the assist”. For all of the reasons written and more, the assist is a problematic stat — and I think we should all be looking for ways to replace it in our analyses.